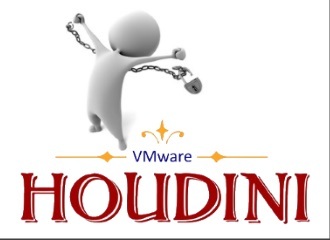 Today ‘project Houdini’ has freed itself from the shackles with VMware’s release of the vRealize Code Stream Management Pack for IT DevOps 1.0.0. VMware vRealize Code Stream Management Pack for IT DevOps helps IT teams to apply the same DevOps best practices of version control, unit testing and continuous delivery to infrastructure content such as VMware vRealize Automation service, XaaS blueprints and Orchestrator workflows. While the SDDC automation challenges are formidable, they can be solved using the same DevOps principles that are taking hold in the world of application development. Tools like source control systems, automated testing, repository management, and release pipeline automation can all be combined for automating SDDC content lifecycle management. 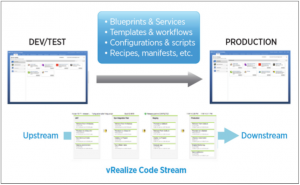 VMware’s vRealize Code Stream provides a way to model and automate the software release process. It also embeds a repository management solution, JFrog Artifactory Pro, that can be used to store code or binary objects like VM templates. Automated capture of Infrastructure content, in text or binary formats. 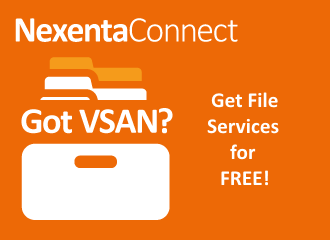 Store and version the captured content in a common repository. Automated rollout or rollback of content from multiple environments. 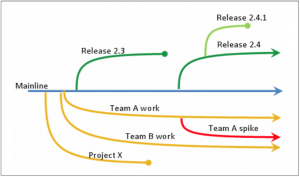 The vRealize Code Stream Management Pack for IT DevOps provides out-of-the-box release pipelines along with vRealize Automation’s Advanced Service Designer (ASD) forms and workflows. Together, these automate the capture of content from multiple environments in a consistent format and store it in a common repository. The stored and versioned content can be grouped and pushed to multiple environments in one request. 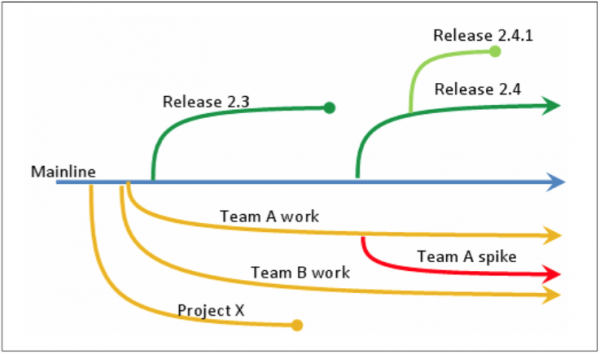 The release pipelines from Code Stream allows customers to automate the lifecycle of vRealize Automation content (blueprints, forms, workflows, etc.) 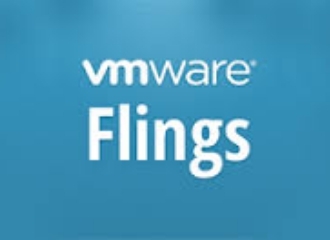 and move them across various vRA instances or tenants as part of their development, test and production stages. One challenge today is that moving content from one environment to another is often a manual, complicated, time-consuming and error-prone process. Houdini includes pre-built pipeline templates and workflows that greatly automate and simplify that process. The content can be automatically moved across various environment with the appropriate controls and notifications. Any configured automated tests will be executed in each environment, to validate correctness and ensure consistently working software. Should the testing reveal any bugs or issues, the deployed content can be rolled back to the last released or known good-state configuration. As an example, the Management Pack will speedily deploy vRealize Automation content across multiple tenants on a single instance or across multiple instances of vRealize Automation and vRealize Orchestrator. 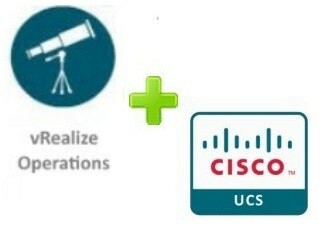 These multiple instances can be across Dev, Test, Production or even in multiple data center locations. 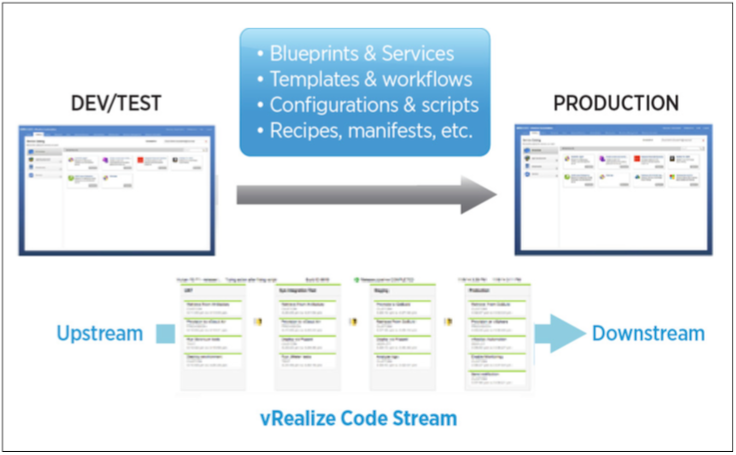 The vRealize Code Stream Management Pack for IT DevOps runs on top of a single vRA 6.2.3/Code Stream 1.2/vRealize Orchestrator 6.0 appliance. 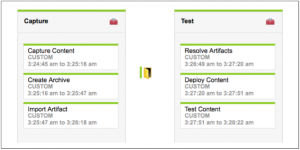 These platforms were also used in the continuous integration and testing process of the management pack itself. The vRealize Code Stream Management Pack for IT DevOps is available for free to customers of vRealize Code Stream and vRealize Automation Advanced & Enterprise and can be downloaded here.